Figure 1: Baptismal record from St. Anne’s parish in Kołaczyce for Magdalena Gębczyńska. Translation: 16 May 1800, house number 33, Magdal., daughter of father Michał Gębczyński, Catholic, female, legitimate. Father: Michał Gębczyński, Mother: Marianna née Niegos. Godparents: Sebastian Sliz, Konstancja Trzybowiczowa (? ), townspeople. Figure 2: Death record from St. Anne’s parish in Kołaczyce for Josephus Sopalski. Translation: 22 November 1818, house number 23, Józef Sopalski, potter, Catholic, male, age 24. Cause of death: “haectica.” The word under “haectica” is “provisus,” which literally means “provided for.” The implication is that Józef received the three sacraments of the Anointing of the Sick, Confession, and Communion–collectively known as Last Rites–prior to his death. Figure 4: Death record from St. Anne’s parish in Kołaczyce for Franciszek Łącki. Translation: “#152. Date of death: 12 December 1847. Date of burial: 14 December 1847. House number: 191. Deceased: Franciszek Łącki, townsman, father of a family, “Aspersit idem.” This phrase is literally, “sprinkled by the same,” and simply means that the priest who presided over Franciszek’s funeral was the same priest mentioned in the other records on the page. (During a Roman Catholic funeral, the casket is sprinkled with holy water as a remembrance of the baptism of the deceased.) The slashes in the columns following the information on the deceased indicate the Franciszek was a Catholic male, age 66 when he died, and his cause of death was noted to be “ordinary.” The notation below that, “prov. SS.” indicates that Franciszek received the Sacraments prior to his death. Her cause of death was noted to be “februs nervosa,” or “nervous fever,” which may have been typhus. Poor Magdalena died so young, and yet she outlived three husbands, bore 12 children, and outlived half of them. She is almost certainly buried in the parish cemetery in Kołaczyce, along with all of her husbands and all (?) her children, except for her son, Jakub Łącki– my great-great-great-grandfather — who emigrated to the U.S. in 1884.16 May she rest in peace. 1 Roman Catholic Church, St. Anne’s parish (Kołaczyce, Jasło, Podkarpackie, Poland), “Urodzenia, 1784-2015,” 1800, baptismal record for Magdal Gębczyńska, 16 May 1800. Ibid., 1803, baptismal record for Joannes Paulus Gębczyński, 20 June 1803. Ibid., 1819, baptismal record for Theodosia Petronella Sopalska, born 26 May 1819. 4 Roman Catholic Church, St. Anne’s parish (Kołaczyce, Jasło, Małopolskie, Poland), “Księga zgonów, 1784 – 2015,” 1818, death record for Josephus Sopalski, 22 November 1818. 5 Roman Catholic Church, St. Anne’s parish (Kołaczyce, Jasło, Podkarpackie, Poland), “Sluby, 1784-2015,” 1819, marriage record for Dominicus Bulgewicz and Magdalena Sopalska, 10 February 1819. Ibid., baptismal record for Sophia Bulgewicz, born 8 April 1829. Ibid., death record for Sophia Bulgewicz, 29 September 1829. 8 Roman Catholic Church, St. Anna’s Parish (Kołaczyce, Jasło, Podkarpackie, Poland), “Śluby, 1826-1889,” Stare Kopie, 1834, marriage record for Franciscus Łącki and Magdalena Bulgewiczowa, 3 August 1834. Ibid., 1829, death record for Stanislaus Łącki 24 June 1829. Maciej Orzechowski, “Kołaczyce Marriages,” marriage record for Franciscus Ptaszkiewicz and Anna Łącka, married 15 November 1852, transcribed from the collection, “Roman Catholic Church records, St. Anna’s Parish (Kołaczyce, Jasło, Małopolskie, Poland), Śluby, 1826-1889,” Stare Kopie, report to Julie Szczepankiewicz, Hopkinton, Massachusetts on 9 January 2015, Excel spreadsheet held by Julie Szczepankiewicz, Hopkinton, Massachusetts. Ibid., 1843, #28, death record for Adalbertus Łącki, died 1 June 1843. 14 Ibid., 1847, #152, death record for Franciscus Łącki, died 12 December 1847. 15 Ibid., 1848, #11, death record for Magdalena Łącka, died 17 January 1848. 16 New York, Passenger Lists, 1820-1957, record for Jacob Lacki, arrived aboard S.S. Moravia on 6 May 1884, microfilm serial: M237, 1820-1897; microfilm roll: roll 475; line: 46; list number: 506, accessed via https://ancestry.com (Provo, UT, USA, Ancestry.com Operations, Inc., 2010), 27 May 2018. Recently, I posted the first installment of an updated, more comprehensive tutorial for using the popular Polish vital records database, Geneteka. In that post, I provided an introduction to Geneteka, a walk through the search interface, and some information about how Geneteka’s search algorithms work. The second installment, posted two days ago, included information on searching with two surnames, using the infodots in the “Remarks/Uwagi” column, searching within a specified parish, using the “Parish records collection/Katalog Zasobów Metrykalnych” link, and using the “Relationship search/Wyszukaj jako para.” In today’s final installment, I’ll discuss the last two search options, “Skip search in parents’ column/Nie wyszukuj w rodzicach,” and “Exact search/Wyszukiwanie dokładne.” Then we’ll get into the various options for finding scans, based on the repository to which the “skan” button is linked. As we’ve already observed, Geneteka’s default search algorithm will return results in which the target search names appear in any field. In many cases, such a broad search is undesirable. For example, if I want to find a death record for my great-great-grandmother, Antonina Zarzycka, some time after 1904, but I have no idea where she died, I’m not interested in all the results that crop up that mention Antonina as the mother of the deceased, or the mother’s maiden name of the deceased, as shown below. Maybe I don’t know her mother’s maiden name, so I can’t narrow the search that way. However, I can still eliminate a lot of the extraneous results by selecting, “Skip search in parents’ column/Nie wyszukuj w rodzicach.” When I repeat the search that way, the results include only birth and death records for women named Antonina Zarzycka, and marriage records for brides with that name. Shown below are the results for death records which were returned using these search parameters. Note that this is an example of one of those situations alluded to previously, where an infodot is found next to a name. In this case, it alerts us to the fact that Antonina Zarzycka was known by another name (her maiden name), Marczewska. This is where Geneteka’s wildcard search feature comes in handy. If I do a search for “Grze*,” the results include all surnames that begin with “Grze” exactly — again, without taking diacritics into consideration. Therefore results include surnames that start with Grze- as well as surnames that start with Grzę-. (Theoretically, at least, results would also include surnames that start with Grże- or Grźe-.) Obviously, this approach will generate a large number of search hits, so it’s best to narrow the search in other ways (e.g. specifying a range of years, a given name, etc.) if you’re going to use the wildcard option. The search produced marriage records for several of Jan and Katarzyna’s children: Józefa in 1871, Antonina in 1873, Stanisław in 1878, and Joanna in 1879. Moreover, the results suggested that Katarzyna’s maiden name was Grzelak. Yet there was no marriage record for Jan and Katarzyna themselves. So how can we tease it out of the database? This is where the exact search comes in handy. When the search was repeated using “Cie*” instead of “Ciećwierz,” their marriage record was discovered. In addition to simple wildcard searches like this one, Geneteka also permits wildcard searches for both surname fields. For example, I recently assisted someone who was seeking the marriage of Piotr Wąszewski and Marianna Pacewicz in Drozdowo parish. The record was a bit elusive, and the year of the event was uncertain. I finally discovered it by using wildcards in both fields. For kicks, I even tested it with wildcards in all four fields. It still worked, as in the example shown below which shows a search in all of Mazowieckie province for couples (“searching as a pair”) in which one partner was named “J. Was*” and the other had initials “T. N.” In practice, I don’t know that there would be too many circumstances where you would need to search for people only by their initials, but it’s impressive that Geneteka offers this as an option. You may have guessed by now that even though this is called an “exact” search, diacritics still don’t matter, so a search for “Was*” is the same as a search for “Wąs*”. Notice that the exact search can also be used to make your results gender-specific, should you wish to do so, in the case of surnames which exhibit gender, . For example, a search for “Zielinski” with the “exact search” box checked will return results for the masculine version of the surname only. Of course, as soon as you enter a given name, you will make the results gender-specific, as well. Finally, the Exact search can also be used to eliminate all the phonetic variants that are included in a standard search, which could be helpful with a surname like Zieliński if you’re fairly certain it was not likely to have been recorded in some other way. Let’s move on now and discuss the process of obtaining scans when this option is available. At first, it seems like it should be pretty straightforward: click the button, and it takes you to the scan, right? Unfortunately, it’s not always that simple. There are a number of repositories for scans that are currently linked to indexes in Geneteka, depending on the geographic area. Some of the less common repositories I’ve discovered have been indexed records from Ukraine that are linked to scans in AGAD (the Archiwum Główne Akt Dawnych in Warsaw), and indexed records from Wielkopolskie province that are linked to pdf files a from Polish digital library (in this case, the Biblioteka Cyfrowa Regionalia Ziemi Łódzkiej), but you may find examples of other less common repositories. 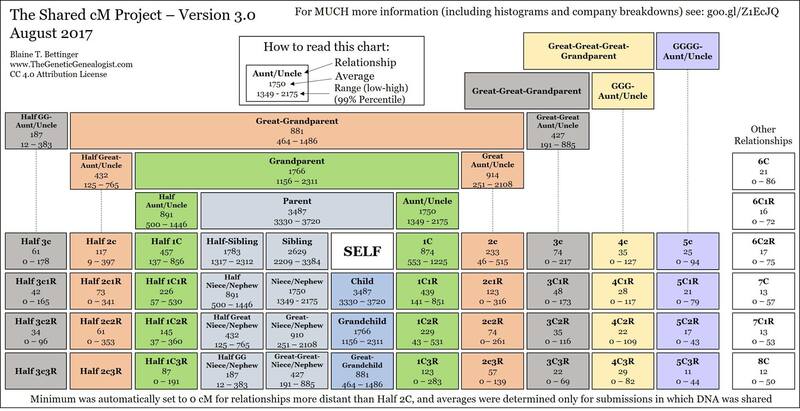 In most cases, however, indexes are linked to scans found in one of three places: Metryki, Szukajwarchiwach, and FamilySearch. With all of these examples, your mileage may vary. Sometimes, the scan button takes you right to the page with the proper image. Other times, you may have to work a bit harder. Here’s an example of an indexed entry in Geneteka that has a Skan button linked to a collection of digital images in FamilySearch. When we click “Skan,” it takes us to FamilySearch’s collection entitled Lublin, Roman Catholic Church Books, 1784-1964. Moreover, we can see from the heading that we’re looking at records from Boby parish, and specifically, the book, Births (Akta urodzeń) 1844-1866. Although it’s not circled in this image, you can see the download button (between “print” and “tools”) near the top right corner of the screen. Obviously, I didn’t have to go through 110 pages of images individually in order to find this. The little tool bar on the side (circled in red on the image below) is invaluable here — especially that icon of the rows of dots, which allows you to zoom out and view a gallery of thumbnail images. Let’s say I want to find the scan for this record, the marriage of Zygmunt Zarzycki and Henryka Kurkiewicz which took place in Warsaw in 1929. Once again, we’re going to hit the “skan” button, but this time, it takes us to a collection of digital images found in Geneteka’s sister site, Metryki. Even if you’re not comfortable with Polish, resist the temptation to click that American/British flag icon at the top, because clicking that will take you back to Metryki’s home page, and you don’t want that. Instead, realize that you don’t need much Polish to figure out what’s going on here. The bit highlighted in red at the top tells you what it is you’re looking at: Metrical books of the Roman Catholic parish of All Saints in Warsaw. You can copy and paste that line into Google Translate if you want to. The next line tells us that we’re looking at the book of marriages from 1929 for this parish. All the numbers you see in blue in rows beneath that heading are the file numbers for images from this book. Since the entry in Geneteka told us that Zygmunt and Henryka’s marriage was record number 525, we want to find the file that contains that number, which is underlined in red in the image above. When we click that link, we’re on the page with the marriage record. The groom’s name is underlined here in red. Again, you don’t need much Polish to navigate the page, but it helps to know that “Powiększ” is the “zoom-in” button to enlarge the text, and “Pomniejsz” is the “zoom-out” button to shrink the page. The “floppy disk” icon, circled in red, will allow you to download a copy of the image. For our final example, we’ll take a look at how to find scans in the Polish State Archives database, Szukajwarchiwach. We’ll start with this indexed entry from Geneteka for the marriage of Stanisław Grzesiak and Jadwiga Dąbro(w)ska. The first thing we want to do is to get oriented to the page. The top section, boxed in red, identifies the collection we’re looking at: Civil records from the Roman Catholic parish of Kowalewo-Opactwo in Słupca County, which is where we want to be. Note that we’re not just looking at a book of births, as we were in the previous FamilySearch example. We’re looking at “Akta urodzonych, małżeństw i zgonów,” which means we’ve got birth, marriage and death records, all in the same book. The “dates” section, further down the page, notes that we’re in the year 1832, which confirms that the link from Geneteka took us to the right place. The indexed entry in Geneteka noted that Stanisław and Jadwiga were married in 1832, but in this case, the record number is not noted. That means we have to first find the marriage index for 1832, then find the record number, then find the record itself. Let’s jump in! Immediately to the right of that large, red arrow in the image above (the one with all the numbers on it), it says, “Digital copies .” That’s what we need to click to get started. That brings us to this page of thumbnail images. The very first thing I usually do is switch the number of scans per page from the default 15 up to 100 to save time. The button marked in red will allow you to expand the image so it’s readable. When you do that, you come to this page, where you have some tools to adjust brightness, contrast, and magnification. You can navigate through the images using the “previous” and “next” links. To move around the page, click and drag the gray box marked with the red arrow in the image below. After flipping through a few images, we arrive at image 15, which contains the marriage record for Stanisław Grzesiak and Jadwiga Dąbroska. To download a copy, scroll all the way to the bottom of the page, where the download link appears. That’s pretty much all there is to finding digital images in Geneteka. While it does take a bit of patience and perseverance, and some scans are definitely easier to access than others, it’s still a great finding aid, especially for researchers who might be unaware of the existence of scans for their parish of interest. That brings us to the end of this tutorial series. I hope it’s helped to give you a better understanding of how Geneteka works so that you’re able to use it more effectively for your research in Polish records. Geneteka is truly a phenomenal resource that’s revolutionized the field of Polish genealogy. Thanks to its tremendous power and the wonderfully flexible search interface, we can find Polish vital records more quickly and easily than ever before, even for those ancestors who were especially mobile. If you have any questions, please feel free to leave them in the comments. Even better, if you find you use Geneteka, and you’re able to make a donation to help keep this project going, please click here. Thank you! Let’s return now to our search for my great-grandfather, Józef Zieliński, anywhere in Mazowiecki province. If you recall, there were 29 pages of results from our first attempt to find him by inputting only his given name and surname. Let’s assume that I do a little more research in U.S. records and discover evidence that he was born between 1890 and 1895. That immediately reduces the results down to a mere 3 pages. If I do just a bit more research to procure his marriage record or death record from U.S. sources, I can discover his parents’ names: Stanisław Zieliński and Marianna Kalota. This is the most powerful bit of information we’ve discovered so far, because it allows me to zoom in immediately on my great-grandfather’s birth record. Voilà! Instant gratification! If I want to discover all the children born to this couple, I can search again, leaving out Józef’s given name. (For that matter, inclusion of his mother’s given name is not necessary here, so I’ll leave that out, too.) Remember to remove the restriction on the range of years, however, unless you have a very good idea of your ancestor’s position in the birth order in his family. Geneteka is a thing of beauty, truly. Even if I never bothered to accurately determine from U.S. records that my great-grandfather Józef Zieliński was from the village of Mistrzewice in gmina Młodzieszyn, in Sochaczew County, I could have discovered that instantly based on indexed records in Geneteka. Of course, it still makes sense to gather all the information that you can from U.S. records first, as further evidence for the soundness of your conclusion, and to guard against the possibility that there were two men named Józef Zieliński, both born in Poland in the same approximate time period to fathers who both happened to be named Stanisław and mothers who both happened to be named Marianna Kalota. Although that seems highly improbable, it might be more possible if the mother also had a very popular surname such as Nowak or Kowalska. If we click on the “Marriages” tab, we can look for marriage records that involve these two surnames. This result illustrates another feature of the basic search: results will include either of the specified surnames in any field. In the first result, the groom had the surname Kalot (discovered by the search algorithm since the final “a” is truncated) and his mother’s maiden name was Zielińska. In the second result, the groom was a Zieliński, and the maiden name of the bride’s mother was Kalota. Since the other names in these records don’t match well with existing evidence for my family, and since these marriages took place in the parishes of Brzóza and Leszno rather than Mistrzewice or Młodzieszyn, we can conclude that neither of these results is relevant to our search. There’s one final point I’d like to make about searching with two surnames before we move on, and that is, sometimes less is more. In older Polish records, particularly marriage and death records, it’s not unusual for a woman’s maiden name to be omitted. So if you’re searching for marriage records for all the children of hypothetical couple Jan Kowalski and Jadwiga Lis from the parish of Różan, it’s quite possible that a marriage record will exist for one of their sons (let’s call him Piotr), in which he is described only as “son of Jan and Jadwiga, the spouses Kowalski.” If you restrict your search too much by specifying both surnames, Kowalski and Lis, and both given names, Jan and Jadwiga, you’ll miss Piotr’s marriage record. The search engine won’t find it, because the indexer could not possibly have included Jadwiga’s maiden name in the index since it wasn’t mentioned in the original record. One the other hand, if you search for records containing (1) surname Kowalski, given name Jan, and (2) given name Jagwiga (no surname), Piotr’s marriage record should show up. The other technique that would be helpful here would be to check the box for “Wyszukaj jako para/Relationship search,” but we’ll discuss that further tomorrow. Other types of information might be available via the “i” as well, such as the towns where the bride and groom lived in a marriage record, whether or not the bride or groom was married previously, or whether the information provided in that entry came only from the sumariusz or skorowidz (internal indexes created by the priest within the book itself), rather than coming from a reading of the actual record. You may also see “i” infodots located in other places in an indexed entry, such as near a name. In such cases they’re usually there to indicate the existence of an alternate name under which the person was known, such as a maiden name in the death record of a married woman, or an alias, usually indicated by “vel” (meaning alias). The “Z” infodot provides information about the archive that holds the original record which is indexed for a particular entry. In this case, originals are at the Grodzisk branch of the State Archive of Warsaw, and the archive’s address is also provided. The “Z” button acts not only as an infodot, but also as a link: hovering over it will provide information, but clicking it will take you to the archive’s website. Note that in some cases, the Z will tell you only that the record came from “Archiwum Parafialne,” or the parish archive. That means that these records were indexed because the parish priest permitted the volunteer indexer to go in and index the books on site. In order to get copies of the records, you need to contact the parish, or find a professional researcher in that area. However, in most other cases copies of these records can be obtained in some other way, such as in an online repository like GenBaza, FamilySearch, etc. Just because the information in the “Z” infodot states that a record was obtained from, say, the Archiwum Diecezjalnym w Płocku, doesn’t mean that the only way to obtain a copy is by writing to the archive. Many records from both state and diocesan archives in Poland have been microfilmed or digitized by the Latter-Day Saints (Mormon Church), and are available online or are viewable at your local Mormon Family History Center (FHC). The final infodot, the “A,” reveals the name of the volunteer indexer to whom we owe our debt of gratitude. In our ongoing example with the family of Stanisław Zieliński and Marianna Kalota, we discovered that all of the births and deaths for their children were recorded in either Mistrzewice or Młodzieszyn. In fact, it’s clear that the family lived in Mistrzewice the entire time, although it appears that the village was transferred to the parish of Młodzieszyn sometime between the baptism of Władysław in 1897 and the baptism of Jan in 1899. We might predict, then, that Stanisław and Marianna were married in or near Mistrzewice circa 1885, before the birth of their oldest child in 1886. However, no marriage records were found for this couple anywhere in present-day Mazowieckie province when we searched for records mentioning both their surnames. Why might that be? The answer can be found by careful examination of the range of records indexed for each parish. To illustrate, let’s go back and repeat our search for surnames Zieliński and Kalota in Mazowieckie, this time using the drop-down menu in the “Parish/Parafia” search box to limit the search to results from Mistrzewice parish. When we do that, the results are displayed with the handy graphic, shown below, which gives us a timeline of the range of years available for indexed records. If we switch over to marriages, we see that marriage records for Mistrzewice are indexed from 1855-1863, with a gap in 1864, then continue from 1865-1893, followed by another one-year gap in 1894, and then finish with 1895-1898. Since we anticipate that Stanisław Zieliński and Marianna Kalota were married circa 1885, their marriage record should appear in this index if they married in Mistrzewice, but it does not. So where did they marry? Probably someplace nearby, so let’s repeat the search using the “Include search in nearby parishes (15 km radius)/Wyszukaj również w pobliskich parafiach (15km)” option. When we repeat the search with that box checked, the display will tell us exactly which indexed parishes were searched, and their distance from the target parish. However, there’s still no marriage record. Why? Well, in this case, further research revealed that Marianna Kalota’s family was from the parish of Młodzieszyn. Since it’s customary to marry in the bride’s parish, the answer to the problem is apparent after a quick check on the availability of indexed marriage records for Młodzieszyn. Stanisław and Marianna married circa 1885, and marriage records for Młodzieszyn are not indexed until 1889. Unfortunately, the State Archive has no earlier records for this parish beyond what’s indexed in Geneteka, nor does the diocesan archive, and the parish website states that records exist only back to 1945. Apparently, I’m out of luck with that marriage record. However, this example demonstrates the importance of paying attention to the range of years that’s indexed for your parish of interest, because it will absolutely influence your results. There’s another handy feature associated with that timeline graphic that’s worth mentioning. This is the “Parish records collection/Katalog Zasobów Metrykalnych” link, circled here in red. When you click that link, it takes you to a page with information about the selected parish in the Katalog Zasobów Metrykalnych, which is one of the sister sites to Geneteka sponsored by the PTG. (You can also access the site directly, without going through Geneteka, here.) Theoretically, this page is only available in Polish, as indicated by the lack of an American/British flag icon. In fact, you really don’t need to know a whole lot of Polish to be able to use the site as-is. However, if you’re really uncomfortable this way, there are two options for translating the page into English. The first is to use Google Chrome as your browser, then right-click anywhere on the page and select, “Translate to English,” as shown here. The second is to copy the URL, and then paste that into the “input” box in Google Translate for Polish to English translation. The URL won’t appear to change, but if you click on the URL in the “output” box, the page will appear in English. Once we do either of those things, we see that this page has some great information about the parish, including the parish name (Sts. Stanisław and Dorothy), the year the parish was founded, and some information about the old Województwo (province) in which the parish was located prior to the administrative reform of 1998, when Poland reorganized its 49 provinces into the 16 provinces that exist today. Knowing the old province can be useful for looking up the parish at sites like Baza PRADZIAD, which use the old administrative designations to distinguish between parishes with the same name. Similarly, information is provided about the new province and powiat (county) in which the parish is located today. We also see a very helpful note about which portal(s) contain indexed records for this parish, as well as which books are available from the archives. In this case, the only records that are available from the State Archive branch in Grodzisk Mazowieckie are already indexed in Geneteka, so no further information is provided in these boxes about available birth, marriage (“oath”) or death records. There’s also a note explaining that the parish ceased to exist in 1915, which isn’t strictly true. As mentioned previously, the parish functions were transferred to Młodzieszyn in 1898, but the church in Mistrzewice was destroyed by a fire in 1915, which is probably what was meant here. In any case, let’s look at another example, the parish in Kowalewo-Opactwo, Wielkopolskie province, to see an example of a Katalog entry for a parish that’s currently active. The parish of Kowalewo-Opactwo (which translates as Kowalewo Abbey) is in the historical Poznań area, so marriage records from this parish are indexed in the Poznan Project, in addition to being indexed in Geneteka for the range of years noted. The parish itself only has records since 1916 (births) or 1947 (marriages and deaths), as shown here, underlined in green, so you could presumably write to them to request a copy of a recent record, and they might be willing to comply, within the restrictions imposed by Polish privacy laws. (Under current Polish privacy laws, access to birth records is restricted for a period of 100 years from the date of the event, and access to marriage and death records is restricted for 80 years. Only immediate family or direct descendants can request copies of records dated within this interval.) Finally, this tells us that the Archdiocesan Archive in Włocławek has additional marriage records from 1828-1866, which implies that there’s an extra year’s worth of marriage records available that’s not indexed in either Geneteka or the Poznan Project. While the information available in the Katalog can be extremely helpful in identifying the repositories in which one might find records for a particular parish, it’s important to realize that you should still do your own research. In this case, the entry fails to mention the LDS microfilms/digitized records that cover births, marriages and deaths for the period from 1868-1879 which were created from original records held by the State Archive in Poznań. Additional records (1880-1889, and 1910-1914) are also available online at Szukajwarchiwach. There are also these microfilms of parish records for Kowalewo that go all the way up to 1979, covering births from 1916-1958, with a gap from 1936-1944, as well as marriages from 1947-1956 and deaths from 1947-1979. Since such recent records are clearly protected by the aforementioned Polish privacy laws, it’s unlikely that these will be digitized any time soon but could nonetheless be researched in person or by proxy at the Family History Library in Salt Lake City. Despite these occasional flaws, it’s convenient to have so much parish information in one place, which is why it’s worth clicking that “Parish records collection/Katalog Zasobów Metrykalnych” link on the Geneteka search page for your parish of interest. The remaining search options that we haven’t discussed in depth include “Relationship search/Wyszukaj jako para,” “Skip search in parents’ column/Nie wyszukuj w rodzicach,” and “Exact search/Wyszukiwanie dokładne.” To illustrate the first one, let’s give Stanisław Zieliński and Marianna Kalota a break and use the example of Stanisław’s parents, Michał Zieliński and Antonina Ciećwierz. Let’s pretend we have no idea where this family was from, and want to search in all of Mazowiecki province. Since it’s possible that there will be records for this family that don’t mention Antonina’s maiden name, we’ll try searching according to just Michał’s name and Antonina’s given name. As noted previously, Zieliński is a popular name, so that strategy will yield a lot of results to wade through. Moreover, as mentioned previously, this search will return results for these names in any field. So for example, the first birth in the list is for Antonina Kucharczyk, daughter of Michał Kucharczyk and Zofia Zielińska — not what we’re searching for at all. However, Geneteka gives us the option to tie Michał Zieliński together with Antonina and search for them as a pair. If we repeat the search with the “Relationship search/Wyszukaj jako para” box checked, our results are much more targeted. With this box checked, every birth record that is returned is a child of Michał Zieliński and a mother named Antonina. In all of the instances shown here, the mother’s maiden name was included, so we probably could have narrowed the search just by specifying that piece of information. However, if we switch over to the page of death records from this same search, we see that there is, in fact, one death record we would have missed if we’d specified that maiden name. Sure enough, the death record of Waleria Zielińska from 1900 did not mention her mother’s maiden name, and so we might have missed it if we’d been too rigid in our search methods. Tomorrow, I’ll offer some examples of using the final two search options that require a bit more discussion, “Skip search in parents’ column/Nie wyszukuj w rodzicach,” and “Exact search/Wyszukiwanie dokładne.” Then we’ll get into the various options for finding scans, based on the repository to which the “skan” button is linked. See you then! A little over a year ago, I wrote a tutorial for using the popular Polish vital records database, Geneteka, and I’m happy to report that many users found it very helpful. At that time, Geneteka had recently made significant changes to their user interface, and my primary goal was to address those changes. Consequently, the tutorial wasn’t as comprehensive as it could have been, especially in regard to locating scans of indexed records discovered through the database. With that in mind, I decided it was time for a major revision. This version is definitely more comprehensive, but now it’s also exceptionally long for a blog post. For that reason, I decided to break it up into three posts which I’ll publish over the next few days. This first installment provides an introduction to Geneteka, a walk through the search interface, and some information about how Geneteka’s search algorithms work. So without further ado, here is my “Version 2.0” of a user’s guide to Geneteka. Geneteka is a database of nearly 25 million (as of today) Polish vital records that have been indexed by surname and given name, from parishes and registry offices which are grouped according to the contemporary province in Poland in which they lie. Geneteka is part of a family of websites sponsored by the Polskie Towarzystwo Genealogiczne (PTG), which is the Polish Genealogical Society. All of these sites are created entirely be volunteers, and they’re hosted online by membership dues paid to the PTG and donations from users. Geneteka is also an evolving work in progress, and indexing requirements have changed since its inception. Therefore it’s important to realize that some indexes are more limited than others in the information they provide, and the differences in information included in these indexes will be discussed in more detail in this tutorial. Each of Geneteka’s “sister sites” is wonderful in its own way, and several of these will probably be discussed in future blog posts. (One of these, Metryki, was already discussed in a previous blog post.) But today, let’s focus on Geneteka. Geneteka’s home page appears in Polish by default. However, you can easily switch the language to English by clicking the American/British flag, circled here in red. This main page offers an interactive map where we can click on the name of a province of interest, as well as a search box near the top right, where we can type in the name of a parish to see if records for that parish have been indexed here. Some indexes for locations in Lithuania, Belarus, and Ukraine are also included, as well as an additional category called Pozostałe (“Others”) that includes indexes from a few places in Russia, a church in Tbilisi, Republic of Georgia, and St. Stanislaus Church in Buffalo, New York. Below that search box, there is a list of Polish provinces. Click the name of a province to search for records from that entire province, as an alternative to clicking it on the map. To the right of the list of provinces, there is information on the number of parishes and civil registry offices that have been indexed for each province, as well as the total number of indexed records. From this we can get a feel for how good the coverage is for each particular area. For example, there are fewer than 350 parishes and registry offices that have been indexed for the Lesser Poland province (województwo małopolskie), with about half a million vital records, whereas there are over 1,800 parishes and registry offices indexed for the Mazovian province (województwo mazowieckie), with more than 6.6 million records. Note that even though the city of Warsaw is located in the Mazovian province, there are so many vital records from the city itself that these records are included in a separate category. As a side note, if you’re interested in checking the most recent additions to the Geneteka database, you can click the link that says, “Nowości w serwisie/News,” circled in red, and it will take you to a page that provides specific information on this. For example, on the day I’m writing this, indexes were added for the parishes of Białotarsk and Grudusk. Both of these parishes are located in Mazowieckie province (MZ), and for Białotarsk, the new information consists of expanded entries (rozszerzenie) for indexes that existed previously in a more limited form, covering births (U), marriages, (M), and deaths (Z) from 1845-1848 and from 1850-1852. The indexer was Bożena Prymus (thank you, Bożena!). If you wish to search the updates for a specific province, you can do that using the drop-down menu. With that introduction out of the way, we can move on to the nitty-gritty. Let’s take the example of a search for ancestors in Mazowieckie province. We click “Mazowieckie” on the map or in the list of provinces on the home page, and arrive at the search screen for indexes from parishes and registry offices in Mazowieckie province. Remember that you can switch the language at any time, on any screen, using the appropriate flag icon at the top, which is very convenient for those who might not be completely comfortable with searching in Polish. As an alternative to clicking the flag icon, people sometimes try to use Google Chrome as their browser and then right-click on the page to translate it, or they attempt to translate the page by copying the URL into Google Translate. While either of these methods will work to some extent, they are not recommended because they produce the unfortunate side-effect of translation of certain surnames and place names, which can make the search results difficult to interpret. Try looking for the Polish villages of “Helmets” (Kaski), “Vineyard” (Winnica), and “Tenement House” (Kamienica) on a map! Page translation using the flag icon will eliminate these undesirable side-effects. Let’s start by taking a look at each of the search boxes at the top on the left. As we examine the first one, “Teren” (Polish) or “Province” (English), we see that, although we already selected the province, Mazowieckie, on the home page, there’s a drop-down menu which will allow us to switch provinces at any time during the search, which is handy if your ancestors lived near the border between two modern-day provinces. Next, we come to the “Osoba,” or “Person” fields, where one is prompted to enter a surname (at minimum) or a surname and given name. Below that is the option for “oraz” (“or”), where we can enter a second surname (“nazwisko”) and given name (“imię”). This is an exceptionally handy way to drill down to the most relevant results, since it allows you to enter a mother’s maiden name. However, there are a few caveats about using this technique, which we’ll discuss later on. At the top right, we see that we can limit our search results by specifying a particular range of years (“Zakres lat”). Below that is a list of further options (“Opcje”) which include “Wyszukiwanie dokładne,” or “Exact Search,” “Wyszukaj jako para,” or “Relationship Search,” (literally, “search as a pair”), “Nie wyszukuj w rodzicach,” or “Skip Search in Parents’ Column,” and each of these options has a small “i” next to it. If you hover your cursor over these “i” infodots (hover, don’t click! ), additional information is provided by way of explanation. However, in some cases it’s still not clear exactly what those explanations mean until you play around with the website a bit, or read this tutorial. I’ll offer some examples to illustrate the use of these options as we progress. The next two options are fairly self-explanatory. There is an option to perform a search for a target parish and then include additional parishes within a 15-kilometer radius (“Wyszukaj również w pobliskich parafiach (15km)”). Obviously, if you start with the default search, which is for all locations, this feature is disabled because it’s not relevant. Furthermore, these “additional parishes” are once again limited to parishes whose records are indexed in Geneteka. Selecting this option will not identify every parish that ever existed or exists today within a 15-kilometer radius of the target parish. Finally, there is “Wyszukaj tylko indeksy z ostatnich X dni,” or ” Search only indexes added in past X days.” If you’d like to use this, you must first check the selection box before you attempt to change the search interval. Another info dot explains that this option limits the search to recently added, updated, or corrected indexes within the chosen time frame. Starting a search: What’s in a name? Let’s take a moment to examine these results so we can understand how results are reported. There are three separate tabs for viewing births, marriages and deaths. Births are presented first, by default. Since we didn’t narrow the range of dates at all, results begin in 1707 and continue for 29 pages, through 1916, with such an impressive number of results owing in part to the popularity of the surname “Zieliński.” Reported data include, from left to right, the year of the record (“Rok”), the record number (“Akt”), the given name and surname of the person named in the birth record (“Imię”and “Nazwisko”), the given name of his father (“Imię ojca”), the given name and maiden surname of his mother (“Imię matki” and “Nazwisko matki”), the parish where the event was recorded (“Parafia”), the specific village within the parish where the event took place (“Miejscowość”), and remarks (“Uwagi”). Remember that for rural areas, one Catholic or Protestant parish typically served a number of small villages. Births and deaths typically occurred at home, but then the child or deceased was brought to the parish for baptism (after a birth) or a funeral (after a death). This is why the specific village might be different from the parish in the case of birth and death records. Since marriages always took place in the church (usually in the bride’s parish), there are no additional columns for specific villages in which the bride and groom resided, although this information may optionally be linked to the “i” infodot in the “Remarks” section. Note also that each column heading has next to it a pair of small blue triangles. These allow you to sort the results according to that column, in either ascending or descending order. By default, results are sorted by year, starting with the oldest records first. Geneteka offers another option for sorting results via the search box located in the upper right corner. This feature can be used to search for all entries that mention a specific surname, for example, or a particular place. It’s worth noting that if you use this option, diacritics matter. A search for “Dabrow” will return no results, but a search for “Dąbrow” will return results that include this string of characters in any field. Thus, results include the subset of births which mention given name “Józef,” surname “Zieliński” and also “Dąbrowska” as the mother’s maiden name or Dąbrowa as the place of baptism. In practice, I don’t use these sorting features much. I prefer to set up the search with sufficient restrictions in other fields that I am able to drill down to the results that are important to me without having to do extensive searching through pages of results. However, others might prefer different methods, and it’s good to know that these options exist for searching and sorting your results, in case you ever need them. Let’s take a closer look at the way Geneteka’s search algorithm performs by starting with a broader search for “Zielinski” in Mazowieckie province, with only the surname and no further restrictions. The results include a whopping 347 pages of births, but as you start to look through them, you’ll notice a few things about the results that are returned. First, both male and female names are included in the results. The algorithm truncates the final i/a in surnames which exhibit masculine and feminine forms, so that a search for either form will produce results for both forms. There’s one exception to this rule, and that’s for names ending in –dzki/-dzka. For this reason, a search for “Grodzki” will only produce results that reflect the masculine form of the name, and “Grodzka” must be searched separately. The second thing you’ll notice is that results include not only the surname Zieliński/Zielińska, but also Zielinski/Zielinska — a surname which exists in Poland, but is much less popular and is considered to be “incorrect.” This confirms that the search engine ignores diacritics, as mentioned previously, which is a significant help to English-speaking researchers who might not be aware that their target surname originally included them. In the majority of cases where the spelling “Zielinski” exists in these indexes, it’s because the diacritic was missing in the original record. This is most likely because the priest was a bit sloppy and did not include the kreska (the Polish name for the acute accent on the n), or it was faded and unreadable, rather than that the indexer was sloppy. Indexers are instructed to record surnames and given names exactly as they appear in the record, rather correcting them to their modern spellings. Moreover, if you find that your family name was spelled without a diacritic on a particular record, it does not suggest that your family exhibited a strong preference for spelling the name that way. Many of our ancestors were illiterate, and even if they were not, consistency in surname spellings was just not a priority back then as it is today. So far, we’ve established that a basic search ignores both diacritics and gender. However, it does more than just that. Closer inspection of the search results reveals additional surnames such as Zielek, Ziła, Zielewska, and Żulińska. These surnames appear because Geneteka’s search algorithm has a built-in flexibility regarding letter substitutions commonly found in old records. For example, “e” and “ew” are treated as equivalents, so that a search for “Olszewski” will also produce results for Olszeski. Other pairs of equivalents include “oy/oj” (so Woyciechowski equals Wojciechowski), “ei/ej” (so Szweikowski equals Szwejkowski), and “sz/ś” (so Szczygielski equals Ścigielski). Since Geneteka ignores diacritics, however, surnames containing certain phonetic equivalents such as “rz/ż” must nonetheless be searched separately, e.g. Zarzycki and Zażycki. Geneteka’s search algorithm also takes into account transliterations between Polish and other languages, so a search for the German surname Schmidt will produce results for Szmit, Schmiedt, Schmit, Szmitt, etc. Also, names ending in “e,” “y” or “a” are truncated, so a search for “Mishke” will return results for Miszke, Miszka, Mischke, and Mischka. In my next post, I’ll discuss searching with two surnames, using the infodots in the “Remarks/Uwagi” column, searching within a specified parish, using the “Parish records collection/Katalog Zasobów Metrykalnych” link, and using the “Relationship serach/Wyszukaj jako para.” Stay tuned! Recently, I discussed the use of Catholic church records for discovering the place of origin in the Old Country for one’s immigrant ancestors. Many people seem to be put off by the idea of obtaining church records from parishes in the U.S. because it may require some extra effort — letter writing, phone calls, or personal visits to the parish. However, in some cases, it’s possible to find church records — and many other types of records as well — online, at FamilySearch. The key is to know how to search the site to get the most out of it, and many beginners just don’t know how to do that. So today, I’d like to demonstrate the different results that are obtained by using two different strategies to find records in FamilySearch, and to explain how to access browsable images for those who may be unfamiliar with the process. Even if you’re new to genealogy, you may have heard of FamilySearch. FamilySearch is the search portal for records gathered by the Church of Jesus Christ of Latter-Day Saints (Mormons). If you’re really brand new to genealogy and have never visited their site before, then you should begin by registering to create a free account. Once you’ve created an account and are logged in, you can begin by clicking the “search” icon at the bottom, near the center of the page. Notice that the top search results include hits from two databases, the Social Security Death Index and Ellis Island passenger arrivals, but no birth records. These aren’t all the results, however. These are just the search results that were determined to be the best matches according to the search algorithm. If we want to view the results another way which allows us to drill down to birth records more easily, we can click the “Collections” view at the top (shown in red in the image above) rather than the “Records” view which is the default display format. Once we click “Collections,” the results are broken down into various categories, such as “Birth, Marriage & Death,” “Census & Lists,” “Migration & Naturalization,” etc. Since we’re looking for a birth record, we’re only interested in results from that first category. The image above shows collections in which an approximate match was found for our Zofia/Sophia Klaus. Notice that the top five “Birth, Marriage & Death” databases are all death records and obituaries. While this may be helpful in locating a birth date (based on a death date) it’s not going to give us an actual birth certificate or baptismal record. For that matter, it helps to realize that, prior to about 1915, there was no full compliance with the law requiring birth registrations in New York State , so we’re better off seeking a baptismal record for someone born in 1891, rather than a birth certificate, in any case. Although the top five databases weren’t much help, maybe we can find something for Zofia in another collection? Let’s try clicking on “Show all 9” (circled in red in the image above) to see what they’ve got. At this point, many family historians might conclude that FamilySearch doesn’t have any baptismal records for Zofia/Sophia Klaus. Nothing could be further from the truth, however. In reality, FamilySearch offers a vast wealth of genealogical records that have not yet been indexed, but can nonetheless be viewed online as browsable scans. How do we find those records? We search the Family History Library (FHL) catalog, which can be accessed by going back to that “Search” option at the top, and selecting “Catalog” from the drop-down menu. Once we click “Catalog,” it takes us to the page shown below, where we can search for a place name, in this case, “Buffalo.” Various options are offered for places with “Buffalo” in the name, but if we type anything further (e.g. “New York”) it narrows the options until we’re only looking at one place. I know that Zofia/Sophia Klaus was the daughter of Polish immigrants Andrew/Andrzej and Marianna/Mary (née Łącka) Klaus, who were Catholic, so she was likely to have been baptized in an ethnic Polish Catholic parish. When I click on “Church records,” I have a variety of options for records from a number of different Christian faiths. If I didn’t know which parishes in Buffalo were founded by Polish immigrants (and which of those parishes were in existence by 1891), a quick internet search could probably assist me, and might in fact lead me to this list of Polish parishes in Western New York, offered by the Polish Genealogical Society of New York State (PGSNYS). The first thing you should look at is the part that says “Notes,” because this tells you precisely what the film contains — in this case, “Microfilm of original records at St. Adalbert Basilica Parish, Buffalo, New York.” The language of the records is usually noted here (in this case, Latin), as is other helpful information, such as the fact that most volumes include an internal index. This means that you won’t have to search page by page to find your ancestors — you can consult the internal index created by the priest within the parish register itself, and then find the relevant entries pertaining to your ancestors. Finally, the film notes specify the exact range of years that are included for each type of vital event — births, marriages, and deaths. Below the Notes, there is a section called “Film/Digital Notes.” This tells you the original microfilm number for this collection, as well as the corresponding DGS number (digital folder number) for the images. On the far right, there is a camera icon. This indicates that the images are freely available online, from any computer. Sometimes you’ll see an icon depicting a camera with a key above it. In those instances, access to the images is restricted, and they must be viewed at a Family History Center (FHC). Although this restriction may seem like a nuisance, the situation is really no different than in the “good old days” of microfilm rental, since travel to the FHC was necessary in order to view the microfilms, too. However, in this case we’re really lucky, because we can peruse church records from St. Adalbert’s at 2 am if we wish, wearing our favorite jammies in our comfiest chair. By now you may realize that the catalog can also be used to find other types of genealogical records, including vital records from places in Europe. The important thing to remember when doing a place search in the FHL catalog is that you need to search for the name of the place where the records were created, rather than searching for the name of the village where your ancestors was born. These two places are not always the same. In Russian Poland, for example, the local Roman Catholic church maintained both church registers and the civil vital registers for Roman Catholic residents within the parish, so it is the parish name that should be searched in the FHL catalog. The parish which served a particular village can be determined by checking a gazetteer, and I’ve provided a list of some good ones here. As an example, let’s suppose that I have evidence that my ancestors came from the village of Wierzbno in Słupca County in the former Kalisz gubernia (province) of Russian Poland. I won’t find that particular village in the FHL catalog, because Wierzbno was not the seat of a parish. Even worse, I will find 3 places called Wierzbno in the catalog, but none of them will be correct because all of these results pertain to places by the same name that are located in other parts of Poland. Searching for my ancestors in these records will be a complete waste of time. However, if I check a gazetteer (in this case, Volume 2 of the Skorowidz Królestwa Polskiego, published in 1877), I see that the village of Wierzbno in Słupca County belongs to the parish of Kowalewo (indicated below, with a small typo, as “Kowalew,” — an issue which can be resolved by looking at a map). With this information in hand, I can go back to the FHL catalog and check for “Kowalewo,” select the result for the Kowalewo that’s in Słupca County, and find both the original church records (księgi metrykalne, written in Latin) and the copies created for the civil authorities (kopie księg metrykalnych, written in Polish until 1868, and then in Russian). As noted previously, clicking on the title of the collection will bring up the full list of films available. In the case of the księgi metrykalne, we see that none of these microfilms have been digitized. Unfortunately, the Family History Library discontinued their microfilm rental service last year due to the rising costs associated with supporting this outdated technology, and in light of the progress they’ve made with digitizing their vast collection of microfilms. They hope to digitize the remaining microfilms by 2020, but in the meantime, these microfilms are only available at the main Family History Library in Salt Lake City. If you’re desperate to obtain records from these microfilms right now, your best option would be to hire a researcher in Poland who could obtain copies from the Archdiocesan Archive in Gniezno for you, since the film notes state that this is the archive which possesses the original records. Alternatively, you could hire a researcher in Salt Lake City to access those microfilms for you, or try some of the other strategies suggested here. The situation regarding access is much more promising with the civil records (kopie księg metrykalnych) for Kowalewo, however. The “camera + key” icon tells us that each of the seven microfilms has already been digitized, although they can only be viewed at your local FHC. When viewing, you’ll want to pay attention to the item numbers, underlined in red in the image below, because it often happens that the same roll of microfilm or digital folder contains records from different parishes in Poland. Thus, in order to access Akta urodzeń, małżeństw, zgonów 1876-1879 (birth, marriage and death records from 1876-1879) from Kowalewo parish, you’ll have to skip ahead through the images in the digital folder until you get to Item 15. Sometimes it happens that one finds records for one’s family in an indexing database like Geneteka, but the indexed entry is not linked to a scan. (If you’re researching Polish ancestors but are not familiar with Geneteka, please see this tutorial.) This does not suggest that no scan is available online. Rather, since Geneteka is created by volunteers, and new scans are being added regularly at sites like FamilySearch, Szukajwarchiwach, etc., it may just be that the volunteers have not yet had an opportunity to put links in place. Therefore, the FHL catalog should always be one of the sites you routinely check when you look for scans for indexed entries found in Geneteka. An example of this is shown here. Geneteka contains an entry for the marriage record of Wincenty Tomaszewski and Franciszka Czapkiewicz who married in Chrostkowo in 1858. No scan is linked to this entry, so should we assume that this record has not been digitized somewhere? No. A search of the FHL catalog reveals that both church and civil records are available for Chrostkowo. As was true with records for Kowalewo, accessibility is a mixed bag, with some records being available for viewing only at the FHC. On first glance, it appears that our 1858 marriage is going to be one of those records with restricted access, since we anticipate that it will be included in the collection, Akta małżeństw 1846-1889. However, if we keep scrolling down that page, it becomes clear that there is sometimes overlap or redundancy in the microfilmed/digitized collections from the FHL for a particular parish. In this case, our 1858 marriage record is freely accessible in the collection, Akta małżeństw 1846-1863. From that point, it’s not too difficult to locate marriage record #25 from 1858, which was accurately described in the Geneteka index as the marriage record for Wincenty Tomaszewski and Franciszka Czapkiewicz, whose names are underlined in red in the image below. At this point, you may be wondering about the reason behind the difference in accessibility for different collections of records from the same parish. The answer to this question often lies in the Notes within the FHL catalog entry. In the case of civil records for Chrostkowo parish (Kopie księg metrykalnych, 1808-1889), the microfilms were made from original records which are held by three different archives: the Geheimen Staatsarchiv in Berlin, the Katholischen Kirchenbuchamt in Munich, and the Archiwum Diecezjalne in Płock. In order to place scans online, the LDS must negotiate terms with the owners of the records. Some archives don’t mind if the scans are freely available, but others will allow the LDS to place them online only under more restricted access conditions. From a practical standpoint, most of us don’t really care which archive owns the original records, as long as we can access them one way or another. However, it’s important to be aware of this potential for redundancy in the available collections, and the consequent need for close examination of the Film/Digital Notes in the FHL catalog entry for your parish of interest before concluding that a trip to the FHC is necessary. As you can see from these examples, there’s much more to FamilySearch than just the indexed records. By utilizing the the catalog, you may discover collections of browsable scans that will allow you to break through your brick walls with unimagined ease. As always, I wish you the very best of luck with your research, and if you have any questions, feel free to leave them in the comments. Happy hunting!